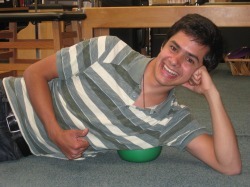 Physical Therapists each have their own "art" of practicing the trade. At WellHab, we have well over a 20 years of experience, continuing education, and diagnostic skills to truly master our art. We are constantly asking questions of the patient, each other and our referring physicians to maximize our ability to provide care for surgical, and acute through chronic pain syndromes, sports injuries, weaknesses, or imbalances whether neurological, muscular, with spinal origin or originating from the extremities. Physical Therapists are trained to effectively and efficiently evaluate and treat musculoskeletal disorders and discern whether or not other causes for the disorder are suspect. Our therapists are skilled, once a patient is evaluated, to pick from a multitude of treatment options from basic to advanced. Probably our best asset at WellHab is our focus on the individual. We see the individual as a whole person, (body, mind and spirit) and we focus on the whole with undivided attention, individually. We put individualized programs together for each client, delivering the most current, applicable information, and providing soothing, rejuvenating, and balancing therapeutics with the whole person in mind. We pride ourselves on our ability to teach skills that will be useful for a lifetime of movement. Our sessions are one-on-one with our therapists; therefore we are able to focus on the individual patient's injury (and wellness) status, movement, and conditioning within every session. We consider each patient to be the most important part of our practice. Many have heard about "Pilates" because it is known to facilitate movement from the "core." This involves strengthening and focusing on the transverse abdominus muscles of the abdomen and ribcage that support the spine and provide stability to the body. Pilates is what Physical Therapists have been trying to do for decades, with a little more "art." At WellHab, we believe that the core is what the Pilates practitioners have been marketing, but what is most liberating is the emphasis on releasing old habitual guarding patterns. Most of us habitually overwork our back or neck muscles and don't allow the superior strength and size of the leg muscles do the job. This over-stresses the muscles that habitually overcompensate in the spine and weaken the leg muscles by not effectively using them. When we begin to use the legs as the primary mover, the abdomen becomes then the "strategic" muscle group that works to support, more than move, the spine. With this new strategy of movement, life tasks become easier and more efficient with less stress on our structure. Joseph Pilates (1880-1967), the inventor of Pilates was an accomplished boxer, gymnast and circus performer. He overcame asthma and rheumatic fever to become an example of superb health and dexterity. During the First World War, Mr. Pilates devised a series of exercises as a means to rehabilitate injured people and those bedridden with injuries from the war. Pilates used the bed springs from the patient's own beds to enable them to exercise. He continued developing his innovative technique, and after traveling to the United States during the Second World War, Pilates began training a the variety of people that flocked to his studio. Once the dancers in the area got word of his "magic", he developed a reputation as healer and became very popular amongst the world class dancers of New York City. It was only after his death that his unique and successful exercise programs became available mainstream to dancers worldwide, health professionals, and the general public. 1.) Concentration: to focus the mind on what the body is doing. 2.) Control: to manage movement, creating efficiency in motion. 4.) Breathing: to initiate and organize the movement while establishing pace and inner strength. 5.) Postural Alignment: to avoid muscle or joint over-exertion and increase efficiency. 6.) 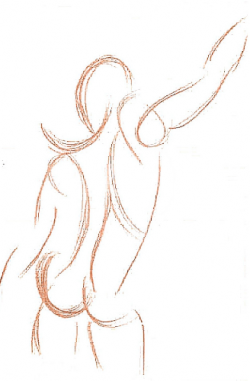 Flow and Precision: to process movement methodically and precisely with ease and continuity. 7.) Stamina and Endurance: to provide long-term strength within the body and with movement. 8.) Relaxation: to allow healing and health optimization. 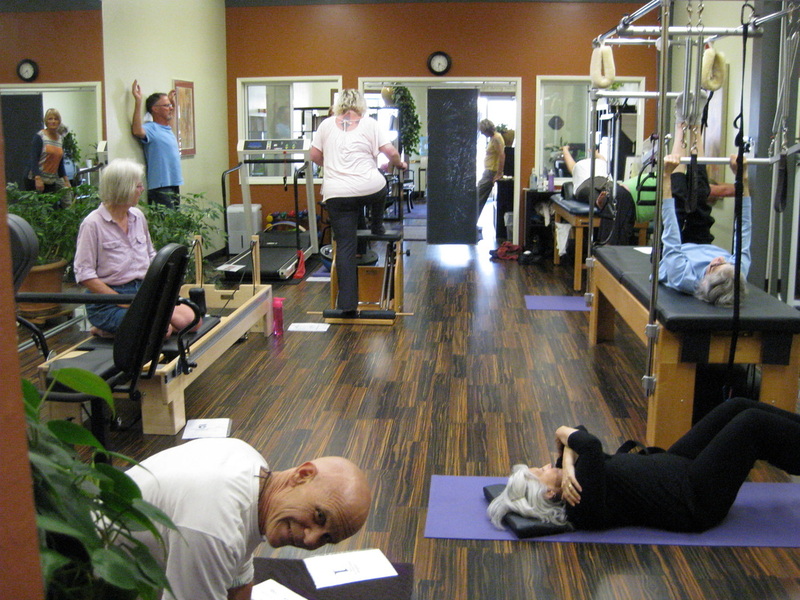 The depth of Pilates knowledge at WellHab is extensive. Rather than a weekend course to become "certified", our therapists have taken extensive training in Pilates Rehabilitation through Polestar. Our Physical Therapists utilize the tools and principles of Pilates practitioners (because we are Pilates practitioners too!) in order to maximize the outcome of our treatments and patient's quality of life. We are also available for one-on-one or two-on-one Pilates sessions on a private pay basis. In addition, to emphasize the importance of life long fitness, our Physical Therapists are offering Pilates classes 3 separate days per week, Tuesdays, Thursdays, and Saturday mornings. MUSCLE ENERGY: This technique uses the principle of post-exercise relaxation. After a lengthened muscle contracts, there is a greater relaxation and length of the muscle due to reflex. With this treatment technique, the restricted joint is positioned gently to the beginning of its motion limitation. The point is called "the restrictive barrier." The patient/client is then asked to exert a muscular effort away from the painful or restricted barrier. After this resisted effort, the muscle preventing the joint from moving is elongated further to its new limit and the motion restriction becomes a bit less. This process is repeated several times until full joint motion is restored. MECHANICAL LINK: Developed by Paul Chauffeur, a French Osteopath, this technique uses similar restriction identification methods as muscle energy. The difference is the restriction identification is not restricted to a joint, but can be identified in any connective tissue including joint, lines of force, bone, vasculature, organ, cranium, and ligament. Upon identification of the "primary lesion," treatment involves a "recoil" technique to invoke release of the restricted tissue. Why this technique is effective has not yet been identified, though we have had amazing results using this technique to address even the most difficult issues. CRANIOSACRAL RELEASE TECHNIQUE: This technique is a manual technique that is about 75 years old used to ensure good mobility of the cranial bones. The cranial bones may be restricted due to tight muscles, particularly in the jaw or neck. Briefly, this is a gentle "hands-on" method of examination and encouragement of the inherent motions of the cranial bones, flow of fluid around the brain and spinal cord and membranes surrounding the brain. The method involves techniques that free motion restrictions, usually at the joints between the 26 bones of the skull, and allow the cranial mechanism to self-correct. It is useful in a variety of conditions and especially for treatment of headache and temporomandibular joint dysfunction. Use of this technique causes deep relaxation. MYOFASCIAL RELEASE TECHNIQUE: Myofascial Release is a collective term for techniques that work on trigger points, muscular restrictions and fascial restriction. These techniques range from Strain-Counterstrain techniques (a technique where a spasmed muscle is further shortened to a position of comfort until the spasm eases) to Deep Tissue Release ( to break up fibrotic and scarred areas of muscle). An appropriate technique is chosen according to acuteness of injury, degree of inflammation or pain and strength of the surrounding structures. Using "Body Rolling" to facilitate our manual treatments is key to keeping the work that is done in the clinic manually to last by using simple exercises with a 6-10 inch ball. "Body rolling" therapy uses biomechanics, kinesiology, anatomy and your own innate sense to work fascial planes, joints, bone, and muscles to reeducate and facilitate ease of movement. "Body Rolling" is a perfect match for our philosophy at WellHab... Empower, you the client, to become an active participant as your own therapist. You can therefore, create lasting change and healing. We aim to reduce indiscriminate guarding and faulty movement patterns. This allows each individual to identify their own new "neutral" mechanics both in class and ultimately, in their chosen active lifestyle. This course is offered to incorporate the amazing benefits of Body Rolling with biofeedback techniques and biomechanics to facilitate improved mechanics in function. You will discover the difference between forcing your body to release tension and allowing the ball to facilitate mobility and flexibility. Your new discovery can be instantaneously gratifying in function, mobility, and pain reduction! Teresa is available during the class to allow suggestions or modifications of the techniques to reduce strain and achieve the proper mechanics while doing techniques. Contact Coastline to Sign Me Up!